Alright, Bout of Books 10 started today, and this is where I'll be updating my reading progress & discussing what I'm doing each day. If you want to see my goals, I posted those here. 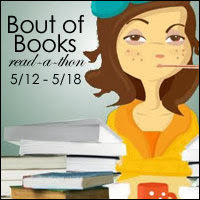 What I'm reading: I had previously started Beautiful Chaos by Kami Garcia (book #3 in the Beautiful Creatures series). I would like to finish this one, but it's getting really boring and I'm having a difficult time getting through it. I may stop & switch to something else. I'm open to suggestions because I'm feeling indecisive! Update: I decided to give up on Beautiful Chaos & switch to something more interesting. 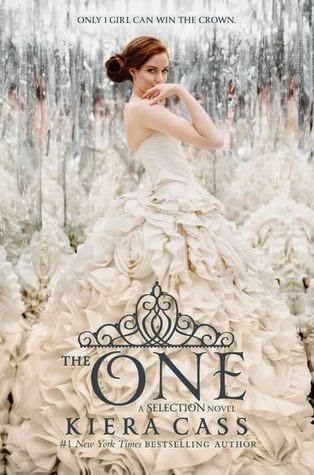 I'll be reading The One by Kiera Cass, which is the 3rd book in The Selection series. I loved the first book, the second was OK, and the third just came out last week, so let's hope the trilogy finishes up nicely! I do love the cover. Daily summary: I only read 50 pages today & missed the Twitter chat this morning. Oh well! Tomorrow is another day. Pages read: As of 4pm- 40 pages. I'm just now really starting for the day. I had doctor's appointments in the morning and other errands to run. Update: 323 pages read total today! Daily summary: I started & finished The One. It felt good to get a nice chunk of reading done, finally! 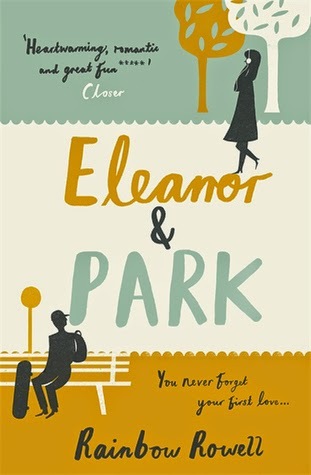 What I'm reading: I'm going to try reading Eleanor & Park by Rainbow Rowell. This book was recommended to me some time ago, and I've noticed a lot of my Goodreads friends have given it great reviews, so I'm hopping on board. I'm also hoping to hit up the Twitter chat this evening, but it's at 6pm PST, which is kind of a crazy time around here. We'll see what happens! Pages read: 325! Go me. Daily summary: I did so good again today (sorry- gotta pat myself on the back a little!) I started and finished this book and loved it. Could not put it down! I also tried to join the Twitter chat, but was busy with dinner so I only stuck around for 2 questions. Overall, great day though and I've already met my BOB reading goal. I hope to continue on at this pace and finish strong! Daily summary: I was really bad today and didn't read anything. It was really hot and I had to run a bunch of errands and go grocery shopping, which took me way longer than I expected. I didn't read and instead lounged around and watched a mini SOA marathon. 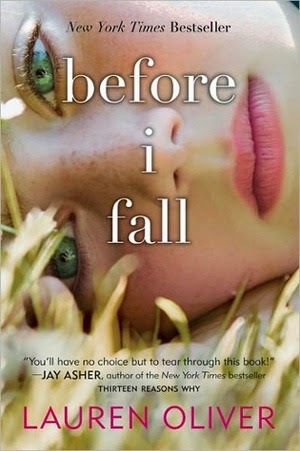 I'm hoping to start Before I Fall by Lauren Oliver. This has been on my to-read list for a while now, and I loved her Delirium trilogy. This is just a stand alone book of hers and I've heard some good things and some bad, so I want to check it out for myself. Daily summary: Started this book & I'm enjoying it so far. Daily summary: Wanted to finish this but I'm too tired! I'm about 75% done. Daily summary: Finished up this book & I really liked it! For a "teen" style book (centered around high school characters) I thought it was pretty dang good. I'm going to stop here for Bout of Books & call this the end of my read-a-thon. I think I did pretty well this Bout of Books overall. Read at least 100 pages per day Done! While I didn't read 100 each and every day, I went over my goal on a lot of the days, which amounted to 1,168 pages total and a daily average of 166 pages! Not too shabby. Finish 3 books Done! I read The One by Kiera Cass, Eleanor and Park by Rainbow Rowell, and Before I Fall by Lauren Oliver. I really liked all of the books I finished. Participate in at least 2 Twitter chats. Eh, I participated in one Twitter chat briefly. I wish I would have made it to another one but I just had too much going on most days and I missed a few when I just couldn't put my book down. Not completely a bad thing, right? Compete in at least 1 challenge/giveaway. I failed here. I didn't do any challenges. Comment on other BOB participant's blogs. I did OK on this one, but I mostly commented and interacted with other BOB participants on Twitter and Instagram, rather than on their blogs. Overall a very successful Bout of Books! A Photo An Hour- a link up!